Amazon.es Price: 10,21€ (as of 25/04/2019 05:44 PST- Details) & FREE Shipping. 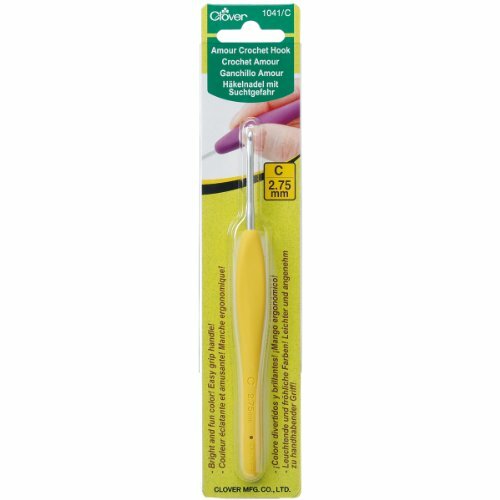 Amour Crochet Hooks feature signature handles in vibrant colors for easy size identification. 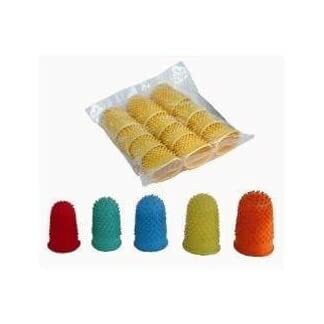 The handles are made from elastomer rubber, making crocheting comfortable and stress-free. More Info: CLOVER-Amour Crochet Hook. The Amour line of hooks feature comfortable easy grips in bright and fun colors. 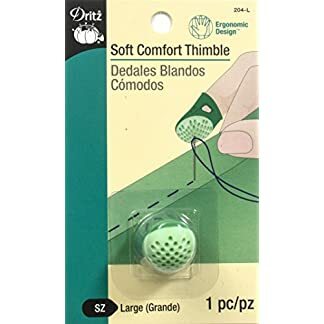 The aluminum hook is optimally shaped for smooth crocheting and the size of the hook is impressed within the elastomer grip for easy identification. The overall length of the hook is 5-1/2 inches, the grip is 4 inches long and the head is 1-1/2 inches long. Each package contains one crochet hook. Size: US-C (2.75mm). Imported. Amazon.es Price: 5,45€ (as of 25/04/2019 05:41 PST- Details) & FREE Shipping. 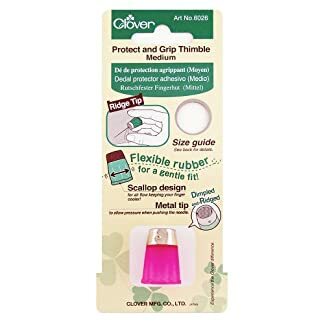 Estás viendo: Clover Amour – Aguja Crochet hook-size C2/2,75, otros, multicolor Amazon.es Price: 10,21€ (as of 25/04/2019 05:44 PST- Details) & FREE Shipping.